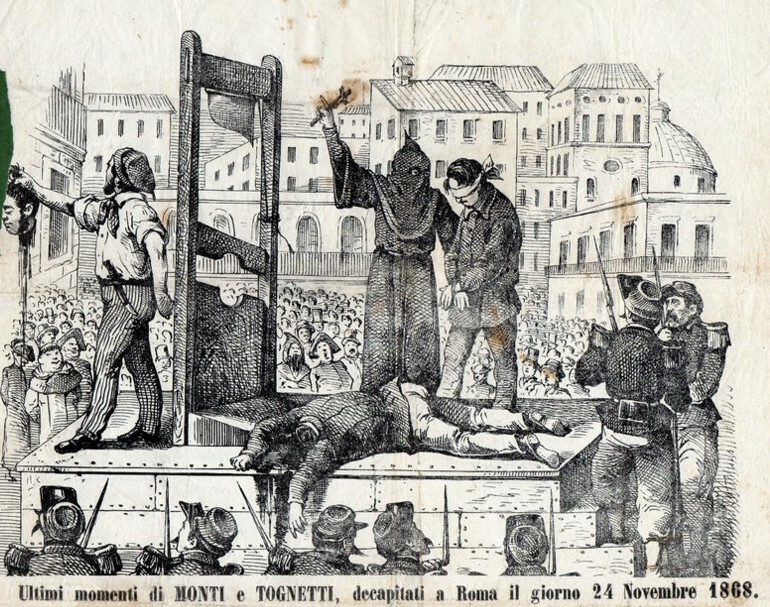 On this date in 1868, Italian revolutionaries Giuseppe Monti and Gaetano Tognetti were guillotined in Rome. Theirs was a passion of the Risorgimento, the 19th century drive to unify as a single nation the peninsula’s quiltwork of minor kingdoms, duchies, and city-states. Following the Third Italian War of Independence, this had largely been accomplished … with the notable exception of the Papal States surrounding Rome. You can hardly have Italy without the Eternal City. So national liberator Giuseppe Garibaldi gathered a force under the slogan Roma o morte and prepared to march … while Pope Pius IX began receiving reinforcements from the sympathetic French emperor Napoleon III. 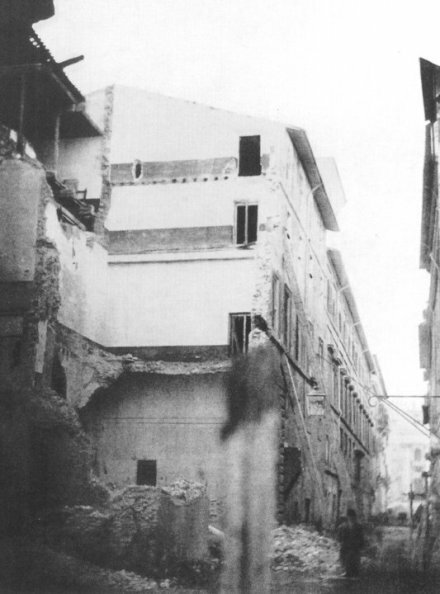 Unfortunately for the bombers, no general rising ensued, and the Papal and French armies subsequently repulsed Garibaldi at the Battle of Mentana on Nov. 3, 1867 — extending the papal enclave’s lease on life only slightly, but just enough to deal with Monti and Tognetti. 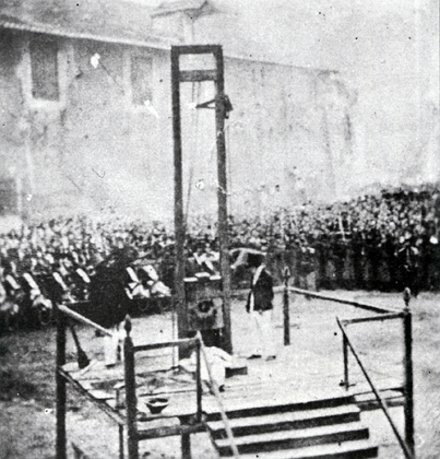 The triumph, such as it was, was short-lived for the Papal States: these were the very last executions by guillotine in Rome; the Papal States polity as a whole had time for only two more executions in its history before the Italian nationalist army completed the risorgimento by capturing Rome in 1870. The two are memorialized in a celebratory ode by Giosue Carducci. Fuggon pe ‘l morto cielo. E si fregò le mani. E dice – Ecco, io son forte. Curci lo tiene in briglia. Nube per l’alpi solvesi in vapor. E in sen, del carcer tuo pur tra gli affanni. La speme gli fiorisce et il desir. La madre lor pensa tremando a te. Tra il figlio e Cristo i baci suoi partir. La mano ravvolgea pura e sottil. De le tenere vite affoghi il fior. Chierico sanguinoso e imbelle re. Che tu nudri la morte in trenta dì. 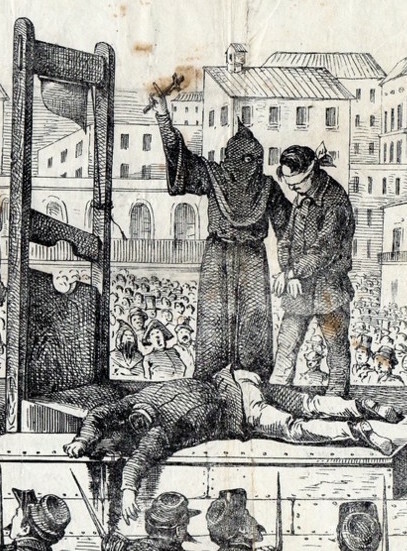 Ei solitario ne l’antica età. Mirate, udite, o avversi continenti. Ne l’òr de le sue ruote. Quei che salvò i La Gala. Son mille, ancor più mille. Veglio, che mai non muore.